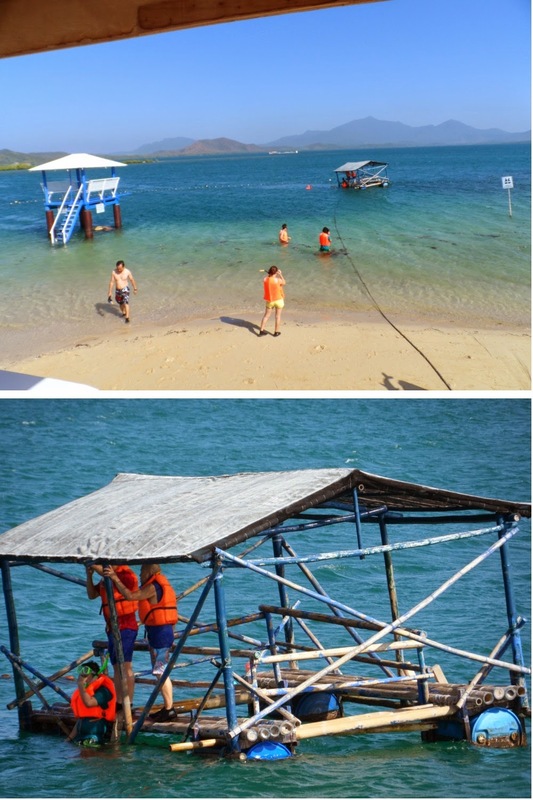 We woke up very early that morning to prepare for our Honda Bay Island Hopping Tour. Unfortunately, our van service was late. We were supposed to be picked up by 7:00 am but the service arrived at around 8:00am and the driver told us that the rest of the group that we will go with is already at the port. Our first stop was Luli Island, it was given this name because the island’s visible sandbar gets submerged when the tide is high and fully visible when it is low tide. It was taken after the phrase “Lulubog, Lilitaw”. The sand here is brownish but fine. There are lots of cottages where you can stay if you’re thinking of eating your lunch here and of course they come with a fee (though in our case it is already included in the tour fee). 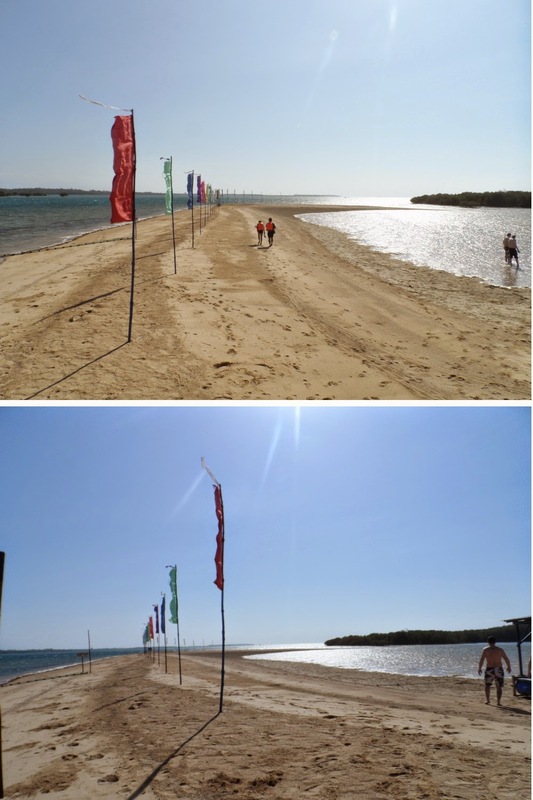 When we arrived, a large part of the island and the sand bar was still visible and after just 10 minutes it is almost completely submerged. 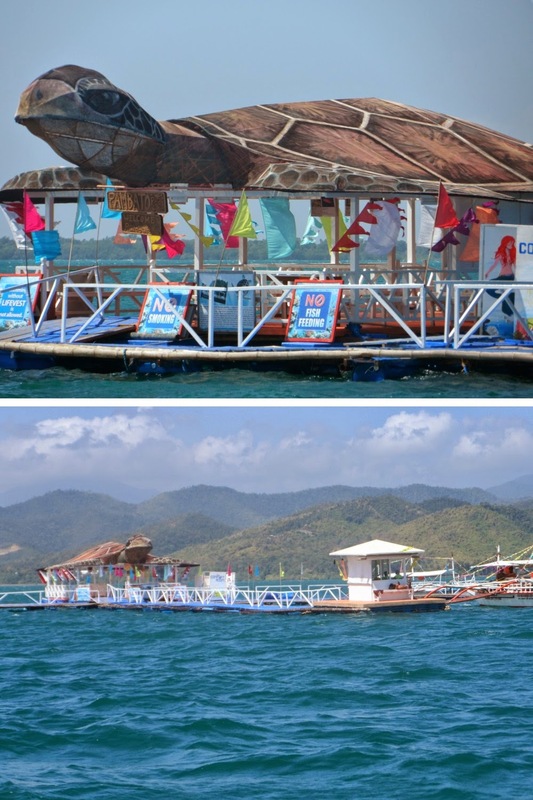 There is also a floating cottage where you can stay and feed the fishes or snorkel near it. 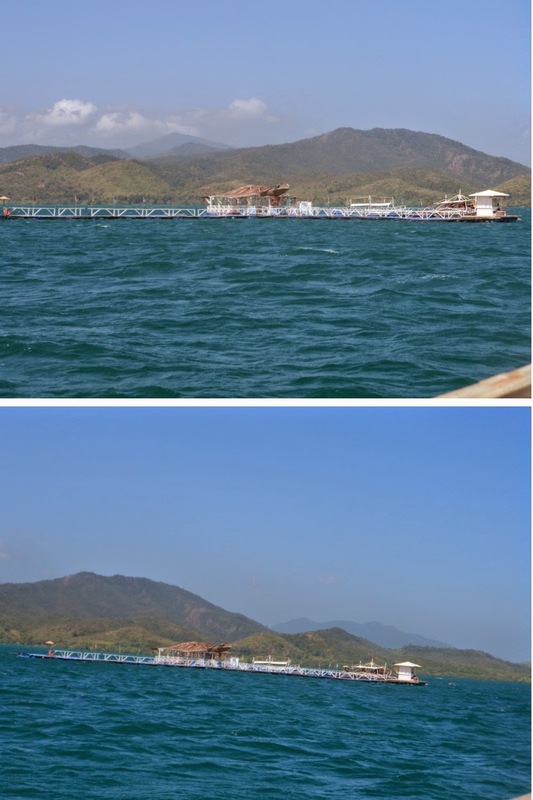 The fishes that we saw here are bigger than what we saw in Coron; but we couldn’t enjoyed it that much because of the strong current that made the water murky. After a few hours, our tour guide called us and told us that we will be transferring to our next destination which is Pambato Reef. This large reef was accidentally discovered by a fisherman and was called “pambato” because this reef is really huge and boasts with very alive marine life. 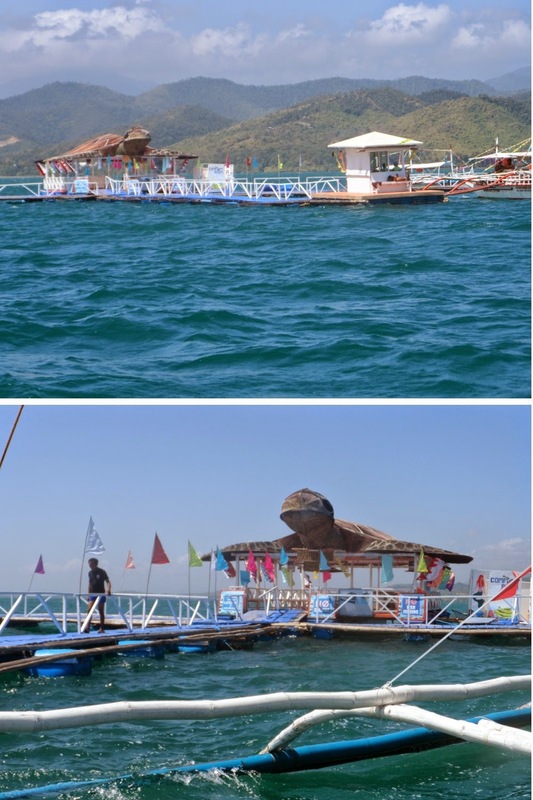 They made a huge floating platform shaped like a sea turtle which serves as the docking area and jump off point. 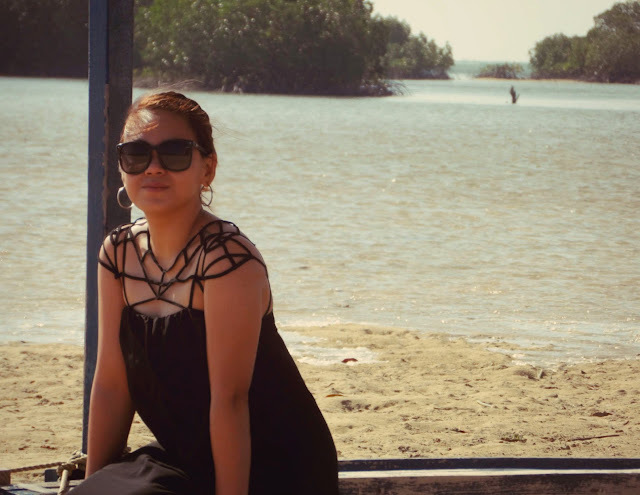 unfortunately, when we were there the waves were strong and that are boat man handed me a buoy where I cling to it while he lead me to the corals. But the water was so murky (due to strong currents or waves) that we all can’t really appreciate the beauty of the reef. Although I saw some large fishes, how big the corals were, how deep this side of the bay is, I still didn’t enjoy Pambato Reef. But I’ve seen photos online of how beautiful this reef is, too bad that during our visit, he weather won't just cooperate. 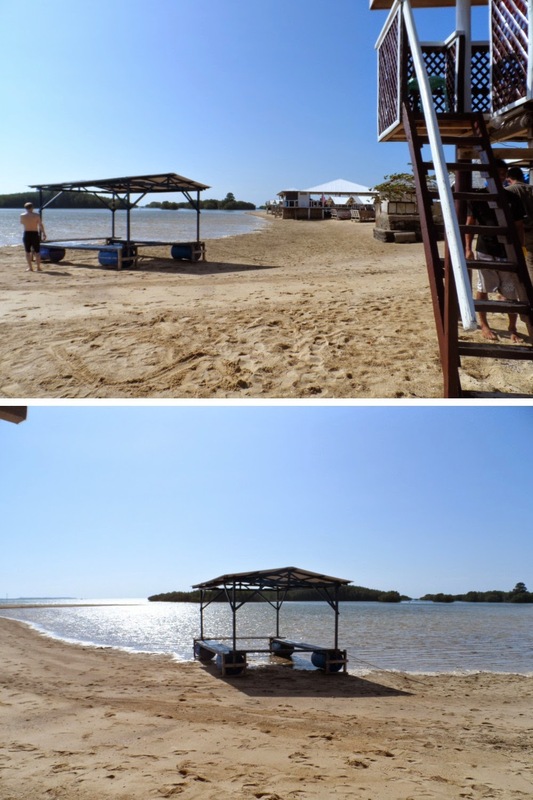 We didn’t stay here longer and transferred to our third and last stop, Cowrie Island.